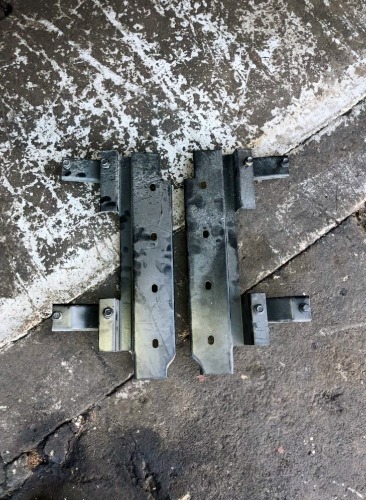 Here is a set of YJ side step support brackets. They are in good used condition and have been repainted. These will fit 87-95 YJs. This may fit other models or years, please check your application. Used parts are expected to have some wear, surface rust, scratches, etc. Be sure to check out the pictures!